The first time I experienced a mom-baby vacation was when my oldest daughter Emilia was just 5 weeks old. My mom was on the flight with us back to her hometown after spending a few weeks helping me get my own mom-confidence and yes, I packed way too many things. The trip home was cumbersome, as I had to bring back everything I had packed along with the baby gifts I accumulated during the visit. When I flew north again at Thanksgiving time, I walked on the airplane with nothing but my baby and a shoulder bag. I was a pro at flying with babies by the time my second one came along. Our mom-baby vacation included flying with her and my oldest (then 4) to my brother’s wedding in my hometown just 8 weeks after she was born. I was so proud of the fact that I packed light, carrying just a small purse on-board with me, until Erinn had a blowout poop mid-air and I went through the small amount of wipes I’d brought and had no change of clothing. 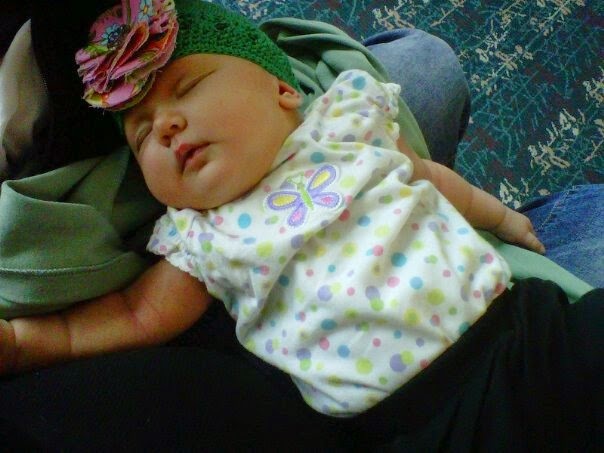 I put her in a new diaper and wrapped her in a blanket to find my dad when we deplaned. Needless to say, I don’t pack quite so light when traveling on a mom-baby vacation anymore. 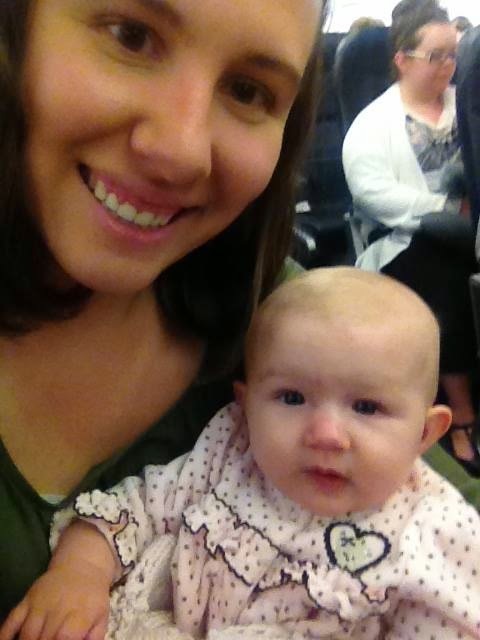 A few weeks ago I flew with just my youngest Teagan, who is five months old. I was able to find an affordable flight to see family over the Easter weekend and stayed a few days in Chicago with my sister in law. It was the first time that Teagan and I had spent longer than a few hours alone together since we were in the hospital following her birth (and there were plenty of medical personnel interrupting our serenity around the clock). I packed light but smart — and thankfully experienced no blow-out diapers on the ride there or back. As I sat quietly in the row we had to ourselves on the flight back to the rest of my kids and husband, holding my sleeping five-month-old and thinking about all of the family we’d seen and adventures we’d had the past few days just the two of us, I started to think about the earlier flights with my other babies. I’ve always loved traveling, flying especially. I like getting to the airport early and buying a meal before I board. I get motion sickness easily, so I usually just zone out or drift to music (if I’m flying alone). If I’m flying with my kids (either one or five of them) I just play with them, talk to them, keep them fed with snacks so they stay happy and distracted from the fact that they have to sit still for an extended period of time. I like being trapped with them for awhile. If we are heading to our away destination, I enjoy their excitement. If we are heading home, I like hearing about everything we’ve done together while away. I joked a few times on my latest mom-baby vacation, that flying with a nursing five-month-old was probably the closest I was going to get to a vacation alone for a long time. It was lovely though — I really loved having that special time with my littlest (though by about the third day she was looking for her siblings and dad). It made me resolve to try harder to find moments of alone time with all of my kids in our everyday lives. I enjoy being part of a large, combined family. But I also enjoy each of my kids’ company and they deserve that special time with me alone too. We (I) talk so much about the importance of “me” time as moms, but in my family there is also an urgency for “just us” time with each of my kids. We operate as a family, but they are individuals. I look forward to every chance I get to know them as people and to steal away a little of our family time to just be with each of them.